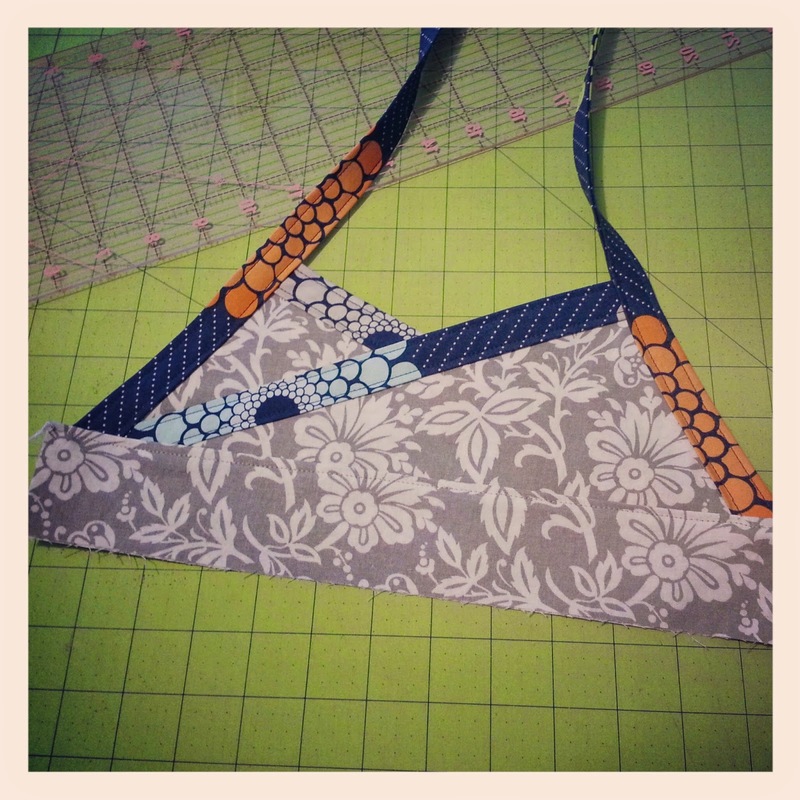 Sew & Tell: Wednesday already!? Even with a fairly quiet blog and Facebook page I have been working a ton the last week. Some of the sewing was for gifts / upcoming blog hops - so posting pictures is delayed - but I've been checking things off the to-do list and sneaking in fun time in the sun - playing outside, a family run after the hubby got home from work yesterday, and dinner on our back deck! 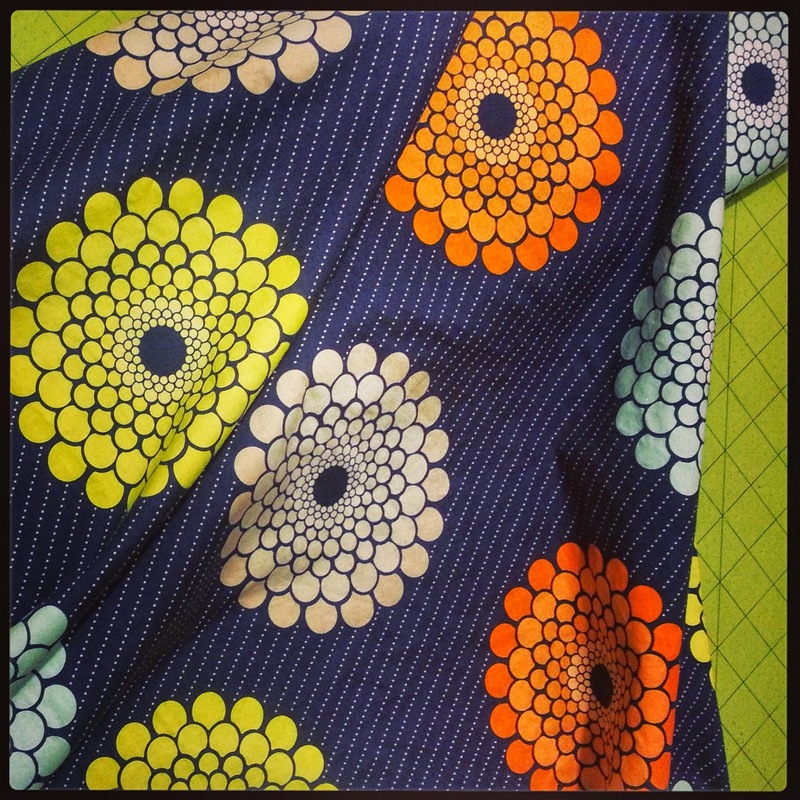 This week I FINALLY cut into a beautiful large-scale floral print from the Ashbury Heights line for Riley Blake. I have a jelly roll of this line stashed away for a "someday" project - and will save enough of the floral for backing - but a friend of mine fell in love with it for a dress for her daughter - and I LOVE how it is coming along! Finishing it up today so it can get in the mail - - then on to some sewing for ME (gasp!) - and my April quilt blocks for the various BOM's / QAL's I'm participating in. Hubby suggested I work on the May blocks this weekend, too. Hmmmm.... smart man?! 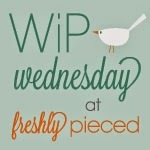 Linking up with WIP Wednesday over at Freshly Pieced - excited to see what everyone else is working on this week!